Please download the Sprung Floor flyer, copy, and distribute liberally! There will be a short break in the middle of each set. Lift Ticket has firmly established itself as a dance camp favorite at festivals from coast to coast. Lift Ticket fuses an extraordinary repertoire of fiddle tunes, rendered with flair and flame, with grooves ranging from smokin to sublime. It all comes together in an unforgettable dance experience. Lift Ticket is Rex Blazer on fiddle, T.J. Johnson on mandolin, Seth Houston on piano and guitar, and Russell Shumsky on percussion. Celtic Spring. A burst of energy. Driving music. Riveting dancing. Youthful exuberance. Unparalleled talent all in one family. 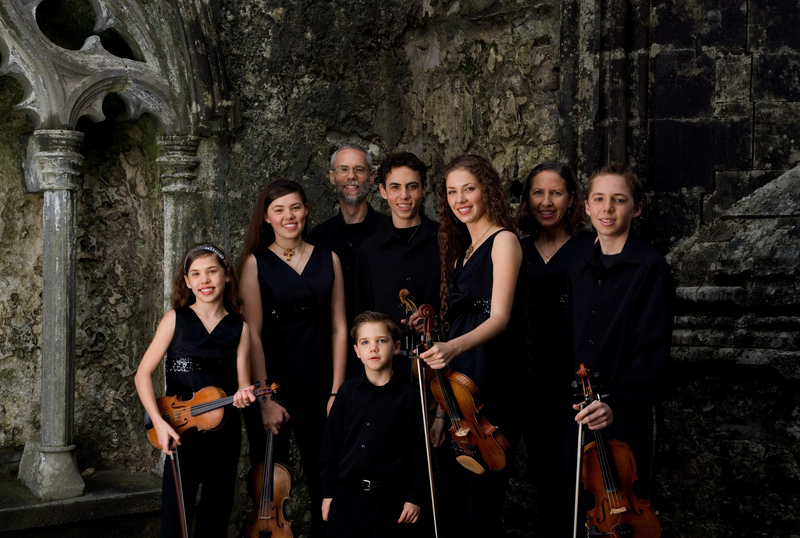 Celtic Spring is six siblings from Ojai who play the fiddle and step-dance, backed by their mom on the keyboard and their dad on percussion. Celtic Spring's music hails from Ireland, Scotland, and Cape Breton, Nova Scotia. While firmly grounded in the traditions of their ancestors, Celtic Spring's style is all its own. 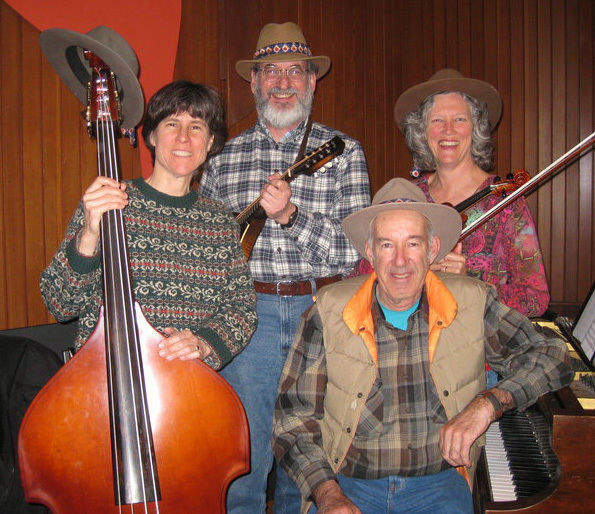 The Crabapples, a Monterey favorite, are Teresa Fife on string bass; Bob Silberstein on mandolin, piano, and doumbek; Norm Cotton on piano and fiddle; and Marta Lynch on fiddle. 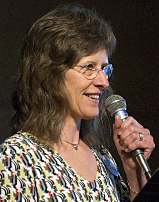 Joyce Miller began contra dancing in the early 1990s in Sacramento and the Bay Area. 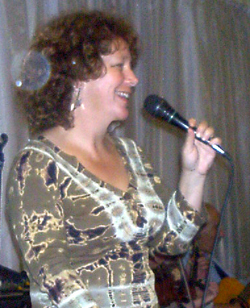 After her calling debut in 2000, it didn't take long for Joyce to become one of the most sought-after callers in Northern California. For the past six years, her session of contras and squares has been a highlight of the Fall Has Sprung 12-hour dance festival in her hometown of Grass Valley. Joyce has called throughout the western states and into Canada, spreading the gospel of dances selected for maximum enjoyment and taught with clarity and wit. As a caller, her goals are to match the program to the dancers, showcase the musicians, and avoid gimmicks. On the other hand, when the spirit moves her, Joyce has been known to call a singing square. Susan Michaels is not a born dancer. She knows what it feels like to be a klutz. In fact, the moment of her greatest personal humiliation came at a fifth grade square dance when Larry Zimberg said hed rather eat dirt than hold her sweaty, trembling hand. And so, no one is more surprised than she is right now that her greatest JOY is being on the dance floor teaching, calling and dancing the traditional American dances. Susan believes it is her calling (pun intended) to share her joy with you. "I specialize in creating joy, making community, and allowing everyone I come in contact with to experience the pure pleasure of dance." Warren Blier is known for his quick, clear teaching and careful selection of smoothly flowing dances. He has been calling contras regularly since 1997. A long-time enthusiastic dancer himself, Warren went to his first contra dance in Boulder CO in 1987 and quickly became addicted. 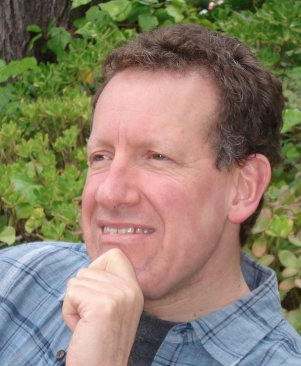 Now living in Carmel-by-the-Sea on California's central coast, Warren also pursues his lifelong passion for all things weather-related, works professionally as a meteorologist, and is trying to learn to play the violin. Unlike most dance camps and weekends, there is no pre-registration. You just arrive and pay your admission, which is $35 per person. No discounts for late arrivals or early departures. All proceeds from this year's event will go toward the purchase of a completely refurbished parlour grand piano for the hall! The Sprung Floor Contra Dance Festival will take place in the Carrillo Ballroom, which boasts one of the best dance floors in the Western United States. Its spring-loaded maple dance floor moves under every step, preventing injury and reducing fatigue. The Ballroom is at 100 E. Carrillo Street, Santa Barbara, CA. From US Hwy 101, take the Carrillo Street exit, turn north (toward the mountains), and go about 6 blocks. The hall will be on your right at the corner of Carrillo & Anacapa. Time-limit parking is available on the street, and paid parking in one of the many downtown parking lots nearby. (If you are willing to walk a few blocks, there is untimed street parking available.) We will try to get permission for you to park in neighboring business lots that aren't being used on Saturday and will update this page with that info when we have it. Santa Barbara is on the coast about 100 miles northwest of Los Angeles and 350 miles south of San Francisco. It's fairly well-served by Amtrak's Pacific Surfliner and Coast Starlight. If taking the train works for you, we recommend it! To get discounted train fares, be sure to check out Santa Barbara Car Free. 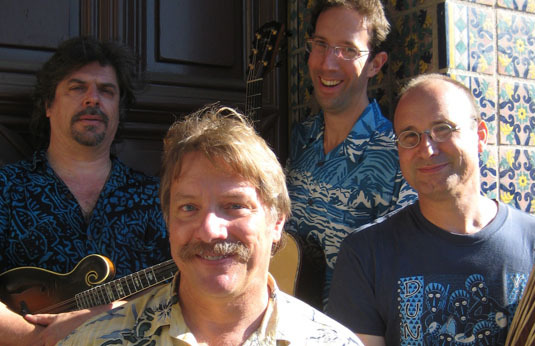 Lift Ticket will also be playing for the regular Sunday evening dance in Santa Barbara and after Saturday night's dance, you'll be wanting more! You might while away your Sunday on one of the many wonderful hiking trails in the front range of the Santa Ynez Mountains (just north of Santa Barbara), on the beach, or visiting one of the many attractions in the City. Visitors who would like to attend an Easter service will find a listing of services in the April 23 print edition of the Santa Barbara News-Press. If you would like to stay with one of our local dancers, we will make every effort to accommodate you. Contact our Housing Coordinator by email or leave a message at 805.617.0435 with your request. Alternatively, if a motel room is within your budget check here for reviews of local properties. No meal breaks are scheduled during the Sprung Floor Contra Dance Festival, but we encourage you to bring an easy-to-eat dish to share in our all-day finger-food potluck. Your dish should be able to safely sit out at room temperature for several hours. If you'd prefer to go out for a 'real' meal, there are a number of good restaurants within easy walking distance of the hall & we will have a list of suggestions available at the dance. Coffee/tea and water will be provided throughout the day. The Sprung Floor Contra Dance Festival is brought to you by the Santa Barbara Country Dance Society & the City of Santa Barbara Parks & Recreation Department.